this little guy and his life are flying by too. i am finding the need to grasp at his dwindling toddler days and be better focused on his little stories. it is actually causing all kinds of introspection on my part as to how that should look, but that is a post for another time. his grandparents gave him this red trike. and that boy can jam down the sidewalk with sheer delight. we had a gorgeous and warm day in the middle of january (do you remember when it use to be warm? ), and it was great opportunity to get outside. to run. play. and of course ride. 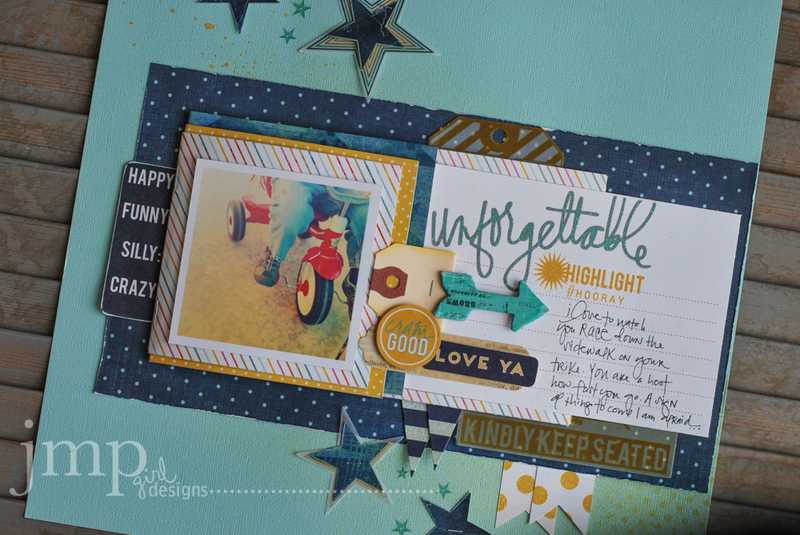 This layout uses a lot of Hello Today but it is also mixed with some old school No Limits. 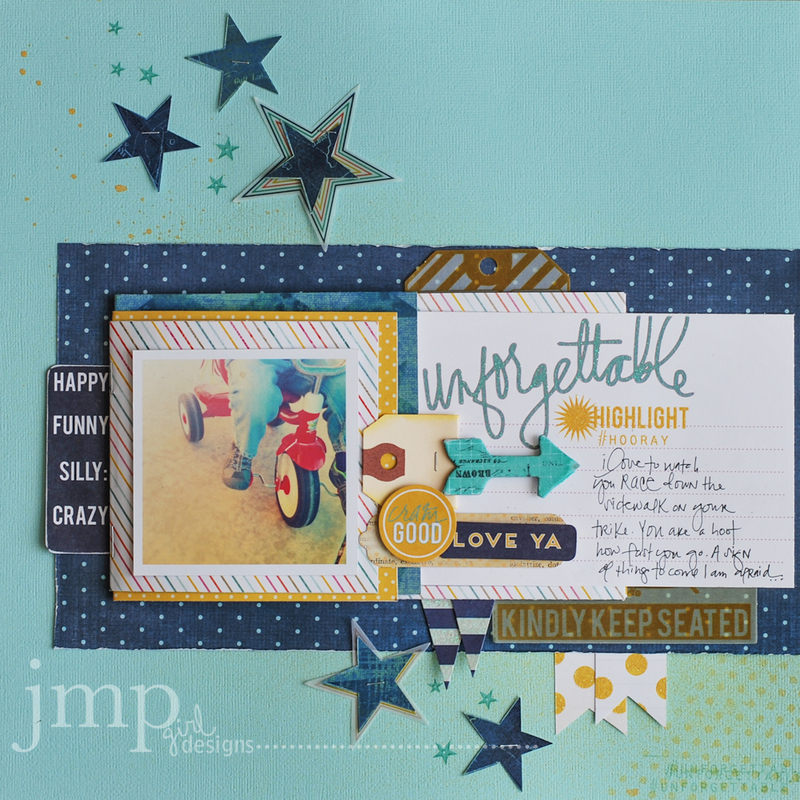 Hello Today can be very soft and girlie, so I loved the challenge to turn it up a bit and give it this little boy feel. 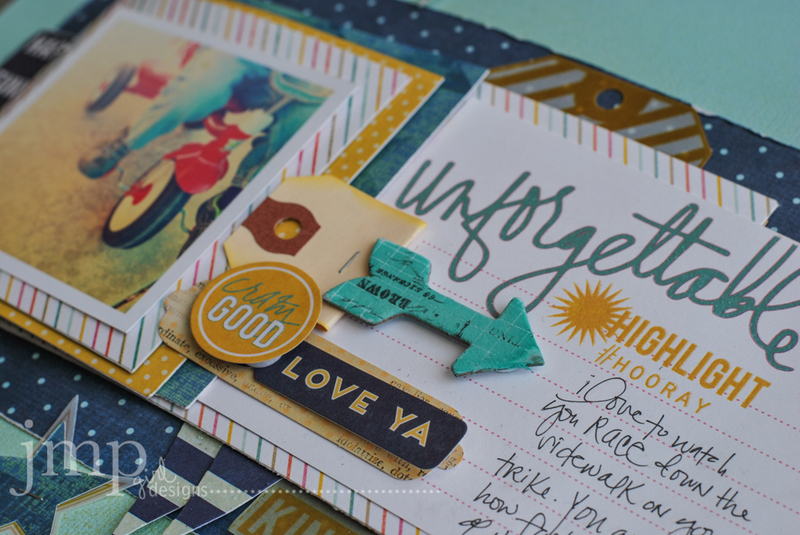 by attaching a little mini book to the front of the page, i added more than one photo. because, you can't have too many photos of that face. this was easily made by folding pattern papers that were cut 12x4 inches, folding them in half, and stapling in the middle. walah! 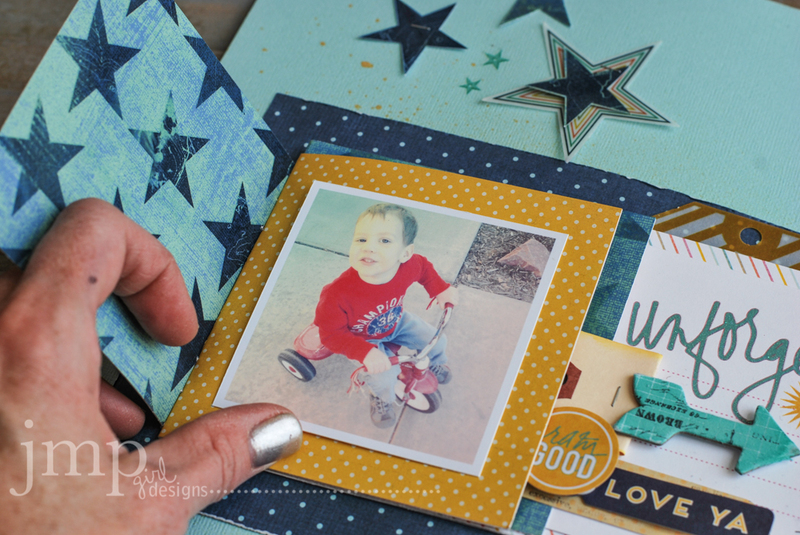 a mini photo flap book thingy.